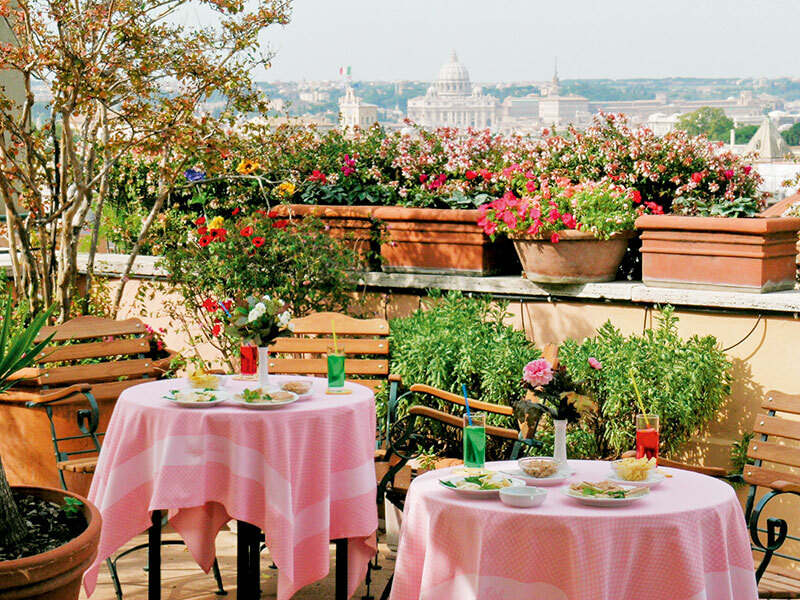 I am at the blossoming rooftop garden eaterie of Rome’s Hotel Mediterraneo, across from a dapper gentleman and a glass of orange juice, with the dome of Rome’s St Peter’s Basilica silhouetted in the far distance. The restaurant has not opened for the day but Maurizio Bettoja of Bettoja Hotels, has the key simply because he owns the place. 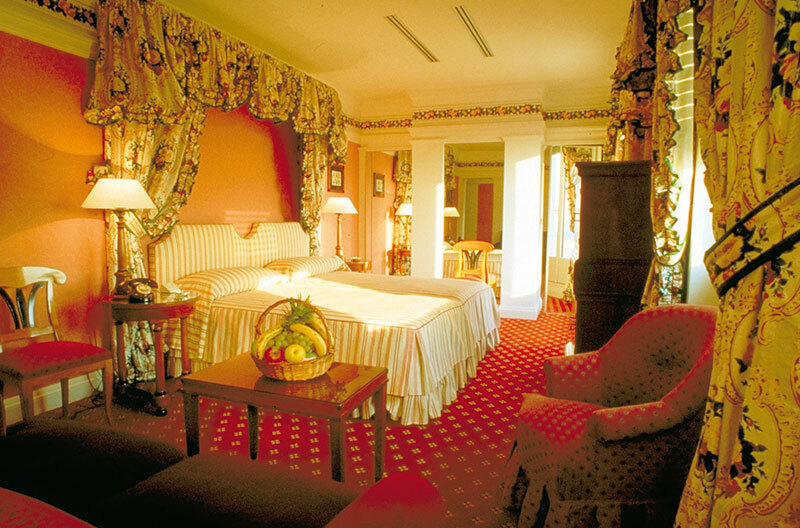 In fact, the Bettoja family is proprietor to the largest family-owned hotel chain in Italy with four hotels in Rome, all situated within easy distance of each other and the Relais Certosa in Florence, built in the 1400s as guest quarters for the Certosa dei Galluzo Monastery. The hotels retain the décor and ambience of their times. The Mediterraneo flaunts the 1940s Art Deco style and by some accounts is a favourite location for couturier Valentino’s fashion shoots. It is the tallest building in the city’s historical centre and was the first air-conditioned building in Rome. The Atlantico, housed in a 1936 building, is decorated according to that era in wood with marble floors while the Nord Nuova Roma boasts a classic ambience. Only last year, the cast and crew of the Bollywood flick Bachna Ae Hasino, including stars Bipasha Basu and Ranbir Kapoor stayed at the Mediterraneo, creating a major stir. Family recipes have been passed down through the generations and continue to be perfected at the restaurants and rooftop eateries while the 1875 wine cellar boasts wines from around the world including several rare bottles for the connoisseur. 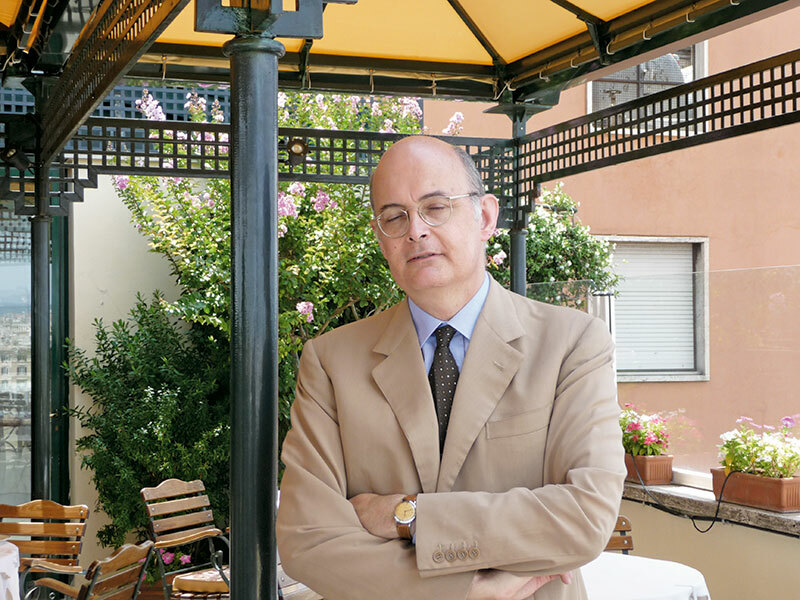 Maurizio urges me to sample the fare at the popular Ristorante Massimo d’Azeglio, named after a statesman greatly admired by his ancestor. And if I am back in the winter, he says, bollito misto, a traditional family preparation of boiled meat, is on the cards – followed by a generations-old recipe of steaming bread and butter pudding.